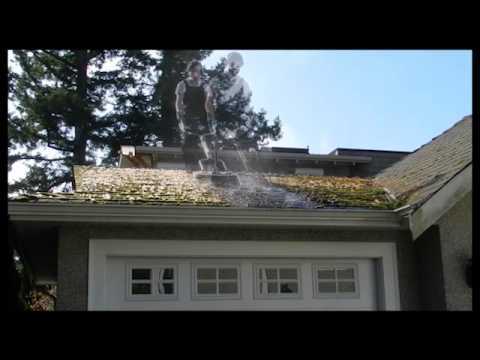 Clogged gutters in Vancouver can be very frustrating but it’s a really easy problem to fix if you know what to do…and you’ve stopped at the right site to have this problem solved. Be sure to watch the video near the bottom of this post. At Home Smart Home Services we’ve tried just about every product that has come onto the market over the last 20 years. Here is the massive list of things you must do to stop your gutters from clogging. 1. Make the little hole in your gutters bigger. Ok, to be honest there is a little more to it than that but not much more. The problem is you have a 2 inch hole (outlet) in you gutters where the water is allowed to drain down into the downspouts that drain into your PVC drains that run underground and out into the main sewer system. This little hole has a plastic filter in it that was designed to stop debris from going down the downspouts into your drains below ground. Imagine that the sewer grates along the sides of the roads were 6 inches square. It wouldn’t take much to clog them and cause flooding. This is essentially the problem that is causing the clogs in your gutters. If you look at the photo you will see the outlet we install 90% of the time. It is 3 inches in diameter and we don’t usually put a strainer in it because we like to put the strainers on the wall down near ground level or in the PVC drain where you can clean them out yourself. 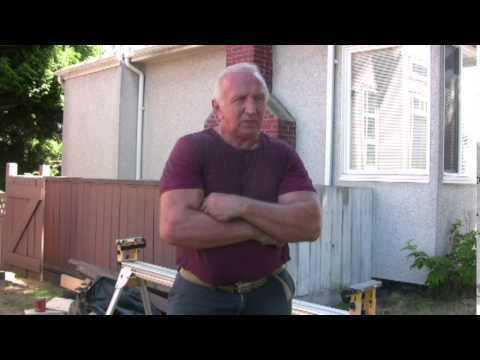 Take a look at the short video below to see these two kinds of filters that make your gutter system function beautifully. You don’t want debris going down into your drains below ground but we don’t filter the debris out at the outlet with a strainer as seen in this picture. We filter the debris out with a trap at ground level where you can clean it out yourself. The video explains your options. The one we like to use the most is the black cone shaped filter called a Drain Saver. It drops into your PVC drain. We install it so it so you can clean it out without any tools. Check out the video below. This filter holds more debris and it isn’t noisy. The wall mount filter can make a pinging noise when water drips down into it from above. There is a fix to this problem but it’s not ideal. So with a large outlet and a filter on your wall or in you PVC drain we can pretty much guarantee your gutters won’t clog. Watch the video below. When the amount of debris that comes off of the surrounding trees is too much, covers may be the answer for you. We’ve tried every cover on the market and this one is by far the best for many reasons. Email or call us for an explanation as to why this is. As you can see in the photo below, this cover stops all but the tiniest particles from getting into your gutters. Anything small enough to get through won’t clog the outlets or your drains below ground. In most cases you don’t need to cover all of your gutters; just the ones that clog on you regularly. But if you don’t mind spending the money, we can cover all of your gutters and you’ll have a hassle free system. With covers on, there is no need for any filters on the downspouts or in your PVC drains. These cover come in brown and Tan as well.